Look out George, there is a new mascot on the way! Less than eight months ago, Armstrong State University changed its name by officially dropping “Atlantic” from the name. Now you have the chance to select the next mascot to lead us into the next generation of success. Students will have the opportunity to vote on what the next mascot will be on April 10 in the Student Union. Ollie the Oyster and Arthur the Aardvark have been selected as finalists for the honor of representing ASU and its vast success in the sporting world. 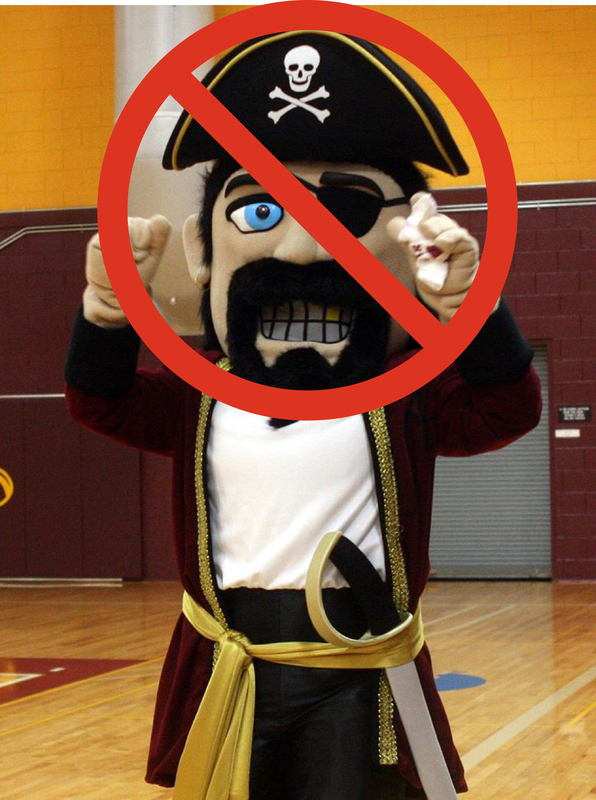 Along with the new mascot, students will be voting for new school colors to go along with the mascot. Each mascot has its own specific colors. With Ollie, students would be voting for Navy Blue and Gold. With Arthur, students would be voting for Royal Blue and Orange. Both of these options are vastly different from the Maroon and Gold the Pirates currently sport. Depending on the vote, a new budget will be put into place to accommodate the changes. New uniforms will be bought for all Armstrong sport teams. Alumni Arena’s name will not change, but major renovations would be needed to keep in line with the exciting new changes. The funds will be drawn from tuition cost starting Fall 2015. Unfortunately, a new student fee will be added to students’ tuition. Although these changes would spark debate amongst the student body, The Inkwell staff would like to say APRIL FOOLS! George isn’t walking the plank anytime soon.